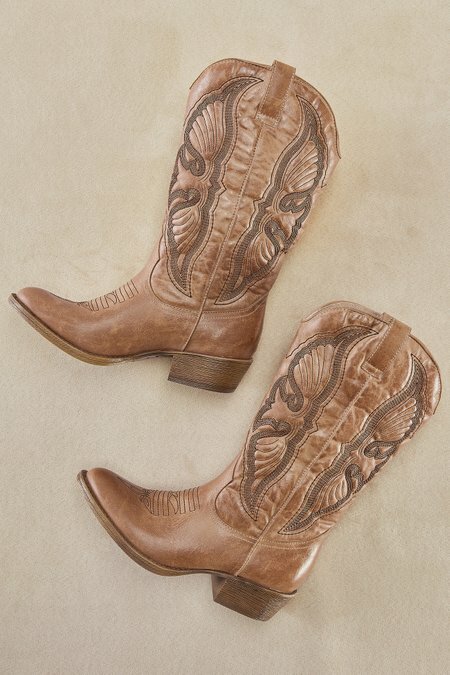 Soaring in style, embroidered angel wings uplift these Western boots crafted in realistic faux leather with a pre-distressed finish. In town or country, a cushioned footed, stack heel and man-made sole keep you moving. 1-1/2" heel.